Biking season is upon us once again, and we’ve never been so excited. 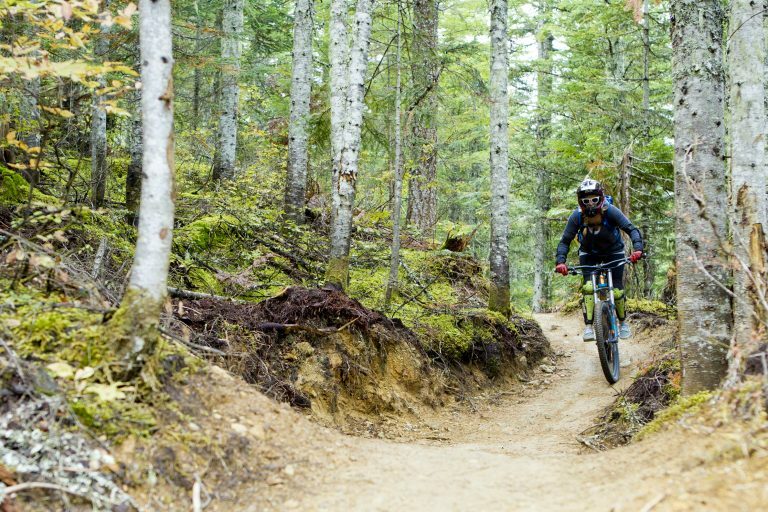 If you’ve caught the biking bug, you’ll know the exhilaration of flying over spectacular mountaintop scenery, or gently riding through Whistler’s alpine forest. The truth is, no matter your ability, age, shape or size, everyone can enjoy biking, and the reasons to love it go far beyond practicality. 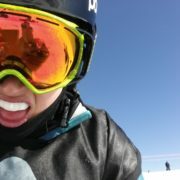 Being a Whistler dental office, we love and encourage all outdoor activities – so long as you consider your teeth! 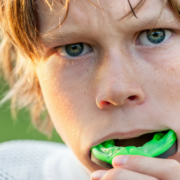 Dental protection appliances such as our custom mouth guards are a must for everyone – from elite athletes to first-timers. In our eyes, there’s nothing more freeing than hopping on a bike and immediately feeling the wind in our hair and the fresh mountain air in our face. Biking is a great escape from everyday stress, and there is so much to savour. Whether we’re descending towards Whistler’s stunning lakes, quietly cruising through a forest trail, or even taking a break with a cold drink, there’s a certain sense of freedom we get when sat on our bikes that nothing can compare to. We all know the anguish of being stuck in traffic that just never seems to move, and don’t even get us started on not being able to find somewhere to park. On a bike, we are free to take as many twists and turns possible to avoid traffic jams, and we get to know all the best short cuts. Biking is an efficient, speedy way to get from A to B, and it really does deliver us from door to door. It serves as the perfect medium between driving and walking, as it’s still slow enough for us to be able to take in our surroundings. Plus, we end up saving a ton of money on petrol. Aerobics exercises like biking have an immense impact on our physical health. Biking burns a crazy amount of calories and really gets us to use all of our body, meaning we can reward ourselves afterwards guilt-free. As a non-impact sport, it’s also great for our joints, and lots of physiotherapists recommend it for people recovering from injuries. Biking is also incredibly beneficial for our mental health- according to Bike Citizens, biking is known to reduce stress, reduce depression and anxiety and give us an overall self-esteem boost! While we’re sweating and struggling on a steep mountain incline, we get to know the countryside pretty well. Riding past rivers, mountains, alpine meadows and all sorts of wildlife is the perfect way to wind down and relax. Being so close to nature truly gives us a new appreciation for the beauty of Whistler’s backcountry, as we get up close and personal with the flora and fauna. Plus, we can ride with the satisfaction that we are helping all this beautiful nature by not polluting it. Ultimately, the sense of adventure is what keeps us coming back to biking. The feeling of setting off with no real destination in mind and no coherent vision of where we’re going is what makes biking so thrilling every time. Biking can be the perfect solitary sport, but we enjoy riding and exploring with our friends even more. All we need is two wheels and a set of pedals and we’re free to explore new parts of Whistler that we’ve never even seen before. Here at Whistler Dental we cannot wait for summer to begin. The weather, activities, and overall good vibes of the community make us grateful to live and work in such an amazing place. We pride ourselves on providing quality dental care to visitors and members of the Whistler community. If you need routine, emergency or cosmetic dental care, get in contact with us now!